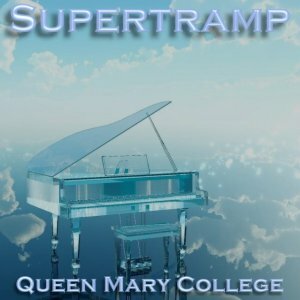 This concert from Queen Mary College was taped by the BBC on November 10, 1977, and broadcast various times, in both radio and TV formats. Several FM recordings surfaced, but usually in an incomplete form and very often mixed with tracks from another concert at London's Hammersmith Odeon, recorded on March 9, 1975. Several transcription CDs were produced for radio stations by Westwood One during the 1990s, with superb stereo pre-FM quality. 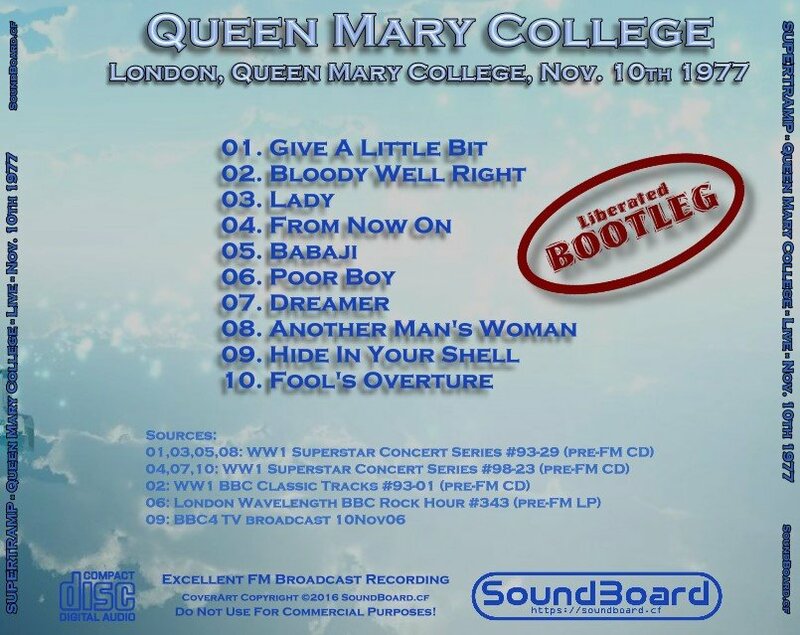 The main problems of these radio CDs are that none of them featured the complete 1977 BBC recording, and that tracks from the Hammersmith 1975 show were included too, creating big confusion (DJs talking on the Westwood One CDs usually announce all songs as being from the Queen Mary College concert, while about half of them are actually from Hammersmith). 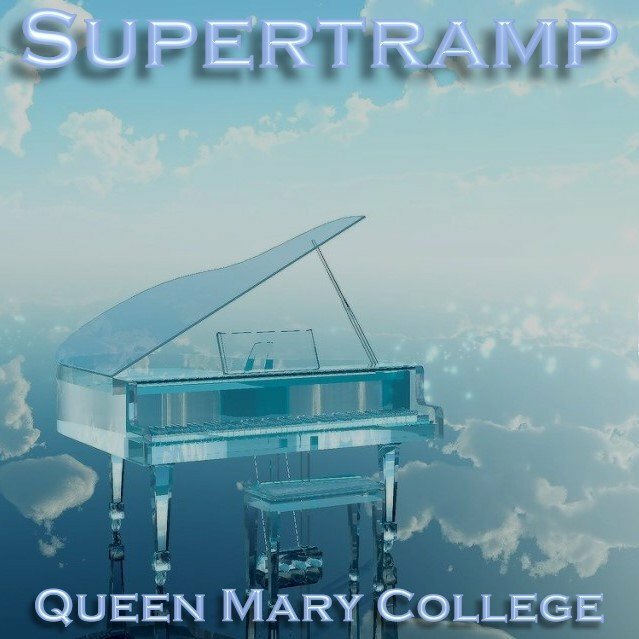 The purpose of this release was to compile all the known Queen Mary College recordings in order to have the most complete version of the concert, with the best possible sound quality. Poor Boy was not available in CD format, so the version presented here was taken from a BBC transcription LP ("Rock Hour #343"). There was also the possibility to take it from the TV broadcast versions, but all TV broadcasts of that concert have a mono mix. So the stereo version from the BBC LP was preferred. On CD, the reprise at the end of Lady was edited out, so the BBC Rock Hour LP was used for this last part of the song. Hide In Your Shell only surfaced on 10Nov06, when BBC4 TV did a special 30 minute rebroadcast of the concert, with this track as a nice surprice at the end (never broadcast previously!). All the pre-FM versions of Bloody Well Right (on CD and LP) have 2 edits: one at the end of the keyboard intro, and another during the ending instrumental section with saxophone solo. Therefore, the version presented here comes mainly from CD, with 2 patches taken from the (complete but mono) version on the TV broadcast. Queen Mary College 0 out of 5 based on 0 ratings. 0 user reviews.